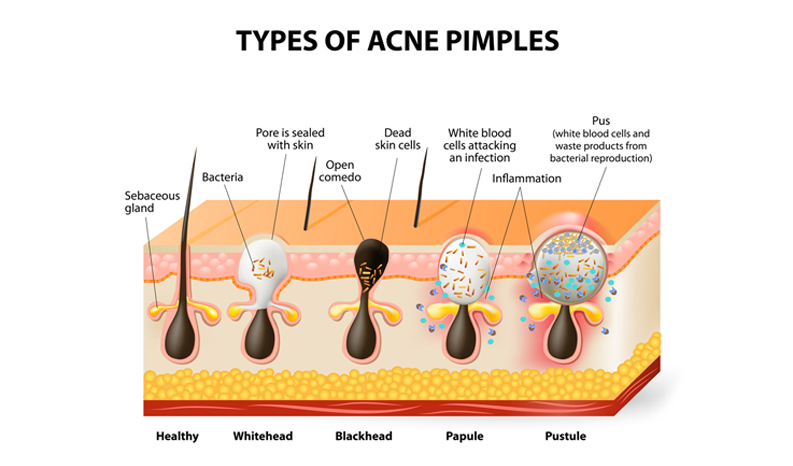 Acne is mainly found on the face, neck, chest, back, shoulders and upper arms. It is not just a teenage problem — it can persists into adulthood. Acne with its inflammation, not only affects the way you look in the short term, but the resulting scarring can have life long implications. Acne is caused when the oil-producing sebaceous glands of the oily skin type are overactive and produce more oil than is required. The pores enlarge and clog.